We all have been out drinking at the bar or at a friends place and then have to think about driving home. After only two drinks there is a good chance that if tested, you would be over the legal limit. As far as driving under the influence of alcohol is concerned. It does not take much, to be over the limit. If you are stopped, you may need the services of a drunk driving attorney. There are many people on the road every day that are probably over the limit. They probably do not even realize it. Your alcohol level depends a lot on your body type, your alcohol absorption rate, the food you have eaten and how long it has been since your last drink. As a result these factors are variable for every person. The net result is that most people should not take a chance. It really is not worth it when you consider an accident and the charges. As well as the legal / moral implications of that could be involved. Why take the risk. Many people now go out at night with the plan of having a designated driver. Or they will just leave the car and take a taxi home. They will pick up their car the next day. They will avoid any potential issue of being stopped, tested and fined for driving while over the limit. Sure it costs more to take a cab. But compared to paying for an attorney, the fine and even losing your license, the cost of a cab is really a minor expense. In addition if you do have an accident, there is the corresponding damage to vehicles. As well as possibly to people in the car as well. Just take a cab if you have too much to drink. Or have a friend drive you, someone who has not been drinking. One other thing. If you have an accident and it is judged that you are over the limit, some insurance companies will not pay for the damages. Your on your own for both the damages to your car and also the damage you may have caused. It can get really expensive! The writers car insurance is written with this clause in it. Which means that medical coverage is removed in this kind of situation. Better hope that your car insurance provides coverage or the other drivers! The services of an attorney who specializes in drunk driving cases is usually the best choice since they often have a lot of experience and can make recommendations regarding the best way to deal with your case. They also understand the system and which judges are the best ones to be heard by etc. that will increase your chances for a lenient sentence. Attorneys do not always specialize in only one area. They also provide will preparation services, estate planning in conjunction with financial accountants, estate management, other criminal and small claims cases. although you may be using a lawyer to help you with setting up a will for example for you and your spouse, they can usually help consumers with drunk driving charges and other situations that need an attorneys assistance. If for some reason they do not have expertise in the area that you need, and this is something that you should verify, ask for suggestions regarding attorneys in their firm that do have the experience and training to deal with your issue. Don’t gp cheap, since it could cost you a great deal more if you lose the case and have to pay fines, lose your license or worse spend time in jail. After all it is your life and no wants to end up with a large fine or worse such as spending time in jail because you had a little too much to drink one night. A DUI attorney can make the difference between a hefty fine with a loss of your driver’s license and a criminal conviction which stays with you for life. A criminal conviction can mean that you are refused entry to other countries. It can mean that you are refused employment for certain jobs. The impacts go on and on. Hire a good DUI attorney to make sure you avoid a criminal conviction. You may pay a large legal fee to avoid a DUI conviction, you pay a large fine and you may pay for having your car equipped with a breathalyzer but this is infinitely better than a DUI conviction. Make sure you discuss all of the options and alternatives with your DUI attorney. We have all done it from time to time. We have had one too many drinks at a party or at the bar and then jump in our cars and head home. In most situations we are lucky enough to avoid having a serious accident and we do not get stopped by the police. But is it really worth taking such a chance? Most jurisdictions are increasing the fines and penalties associated with a DUI offense, so much so that many people are shocked and very concerned when it happens to them. Avoid drinking and driving if at all possible. In our minds it is just not worth it. Taking a cab, sleeping over or just not drinking is by far the better approach. It used to be not too many years ago that you needed to blow over .08 to be fined for drinking, have your car towed and perhaps spend a night in jail. Now laws have changed and it is now down to .05 % alcohol in your blood. For most people this can be just one drink depending on your metabolism, your body size, how much food you ate etc. if you have one glass of wine, with a meal and then wait a few hours, most people will be ok for example. Why Does a DUI Conviction Prevent Visits to Other Countries? Whenever you are entering another country, you will be going through customs. You will be subject to questions about where you live, how much money you are carrying. Also what your plans are and how long you will be staying in the country you are visiting. There is an entire litany of standard questions that they can ask. It really depends on your answers, body language and a host of other factors that are too numerous to mention. Occasionally, they will ask if you have a criminal conviction. A conviction of a DUI charge is a criminal conviction in many countries. Consumers need to be aware of this. No country wants to allow criminals into their country regardless of the conviction. If you are convicted of a DUI offense, you definitely do not want to be crossing the border. If they ask about criminal convictions and you do not say anything, they can place you in jail. They can confiscate your belongings including your car if you are driving. At the very least they are going to send you back to your country and deny you entry, which is also very alarming and embarrassing if you are with other people. The writer feels that it is just a lot easier to avoid drinking and driving. As we said earlier take a cab, sleep over or just don’t drink. You can still have a great time at a party and in fact you may have even more fun at a party while you watch your friends make fun of each other as they lose their inhibitions. If you need a DUI defense attorney, it probably means you were stopped by the police and charged with driving under the influence of alcohol or drugs or both! This can be a scary time for many people. They are worried about embarrassment, fines, losing your driver’s license or worse going to jail. Jail is a very real possibility if you are well over the limit. If you do not have enough money to post bond, chances are you are going to stay in jail for some time. Which makes everything else even worse than it was. At the very least you may spend the night in jail while you sober up. Which is another really unpleasant experience. It is difficult enough to sober up without being in a jail cell with a bunch of other drunks. Although hiring a DUI defense attorney can be expensive, going to jail can be a lot worse. Hire a DUI defense attorney that has an excellent record representing DUI defense charges. It is your life and going to jail or losing your license can be catastrophic for many people. Hire the best DUI defense attorney you can afford! He may cost a lot, but you really cannot afford to not hire the best. Because you will lose your job and be in jail otherwise. Jobs are difficult to come by these days. You certainly do not want to lose your job because of being in jail for a DUI offense. There are DUI roads stops all over the place. Sometimes the police will even advertise that they are setting up a roadblock to check for people drinking too much and getting behind the wheel. Contrary to popular belief they really do not want to stop you and charge you. They would rather you drove responsibly and avoided DUI charges, accidents and even death as a result of drinking too much. Always go with a designated driver and avoid being stopped after drinking too much. This is the main reason that they will advertise in most cities that they are setting up a DUI check point. They might even indicate where the checkpoint will be just to get drivers to be more careful and not drink while driving. This is their main objective. They are trying to influence the general population to drink less and be more responsible when drinking. Many people feel that they set up these check points to make more money for the town, city or the state. If that was true all they need to do is set up more speed traps and fine people for speeding. This would be much more lucrative and make them much more money. The reason that police departments all over the country are setting up DUI checkpoints is to try to make people more aware of what the impact of drinking and driving can be. The majority of people will either avoid the area, or make sure they are not drinking that night or have a designated driver. There are a few that will risk everything and be defiant. They are the ones that the police really want to send a message to. If you are going to drink and drive, we want to stop you and if over the limits established by the politicians, then they want to take your car away, throw you in jail and charge you with a traffic violation. They want you to get the message that there are serious consequences to drinking and driving. If you drink and drive there is a far higher chance that you will also have an accident as well. Not only will you wreck your car, you could possibly kill yourself or someone else and you may be facing really serious charges as a result. Don’t drink and drive, have a designated driver who is not drinking or just stay home. It is just not worth it. If you need a DUI defense lawyer, you have probably been stopped for drinking while driving, taken a breathalyzer test and been charged with a criminal offense of DUI. You may have taken a breathalyzer test at the location where you were stopped. Then taken to the police station for a further tests to make sure that the initial reading was correct. You may be suddenly realizing that if you are convicted of this charge that your life could be impacted significantly in a number of ways. First off all there is the embarrassment of being charged and having to go to court. You really do not want family and friends to know that you were caught drinking and driving. You do not want them to know that you have been charged and could lose your license. This is traumatic for most people and certainly no one really wants to talk about it. Secondly there are the legal fees and fines that you are going to have to pay regardless of whether you are convicted. Or even if you somehow escape a conviction. Then there are the physical penalties which can include jail time, house arrest. Also driving restrictions in terms of losing your license or having a breathalyzer device installed in your car. The cost of all of this can range to many thousands of dollars without considering loss of income. Legal fees alone could cost thousands depending on your situation and the lawyer you hire. Your bank account is going to take a big hit no matter how you come out guilty or not guilty. A DUI defense lawyer may be able to contain your conviction and may be able to keep your fines to a minimum, however you will still have substantial legal fees to deal with in situations like this. The legal fees alone can come to over $5,000 just for defense and to get a warning with no conviction. One wonders why people drink and drive in the first place when there are all of these possible ramifications which can impact you for the rest of your life. A friend of ours was stopped and charged with a DUI offense. He estimated that by the time he paid to get his car back from the impound lot, hired a lawyer to represent him in court and pay the fines that he would likely have to pay; the cost would be around $10,000. This assumes that he is able to retain his driver’s license. Also not have give up driving for a year or spend any time in jail. This is a lot of money and probably more than many people have just lying around. These are serious deterrents to drinking and driving. Not to mention the damage you might cause if you also had an accident while driving. Did you know that some insurance companies have in their polices a special ride. It basically says that you are charged with a DUI and convicted, they will not insure you for any damage done to your car or truck. Your vehicle could be totaled as a result of an accident. It might not be covered at all due to your DUI conviction. You also might not be able to get car insurance coverage from this same company again if you have an accident. At the very least the rates are going to go way up. Hire the best DUI defense lawyer you can find for any situation involving a DUI charge. Avoid all of these or at least the most serious of the possibilities. Even if you have to pay the lawyer and the penalties associated with getting your car back from the impound lot. This is a far less expensive option compared to dealing with a DUI conviction. Which also happens to be a criminal conviction. We recently read an article about a DUI road stop in Palm Springs California. It was set up one weekend to catch people who were drinking and driving. The article was giving the results of the road stop and it was pretty interesting reading and quite surprising as well. Before we give the results of this road stop we want to point out that the police even advertised and let it be known that they were going to set up this road stop. The advertising for the DUI road block was in the paper, on the radio and on TV. It was also probably all over the internet. We still wonder why so many people still get stopped and charged when all they had to do was avoid the area in the first place. The good news is that only one person is going to need an attorney for his DUI defense. There were 166 cars stopped and several were taken off the road due to various problems, but only one person was charged with a DUI offense. We thought that this was pretty good. It could mean that people knew about the DUI road block and just avoided the area. Either way it is a good result to know that there were so few people actually on the road driving under the influence of alcohol and being intoxicated. But the really surprising thing about this DUI road block is that 5 people were fined for driving with an expired license. Six people were driving with no license at all. We found that this was quite surprising. These people are going to need lawyers or they can just pay the fine. Can they drive ok? Do they follow the rules of the road? Why did they not have a license? Did they have a license at one time and lost it due to some other driving offense? They probably also did not have car insurance either. What happens if you’re in an accident with one of these drivers? No insurance on their vehicles and you have no recourse to sue to help with your own expenses! They did not say anything about car insurance and whether these cars were insured or not. We do not know if it is a traffic offense of any kind in California to drive a car with no insurance. I sure do not want to be hit by one. So now when you are out in your car, not only do you need to be concerned about people driving while under the influence of alcohol or drugs, you also need to be careful of people who do not even have their license. Can they drive? Do they even know the rules of the road, stop signs, yields, turn signals etc? Drive defensively when you are on the road to make sure that you anticipate what the other guy is going to do to avoid an accident. Always avoid driving when you have been drinking, even with one drink. For some people even one drink and put them at or just over the edge when it comes to testing for DUI. Why take the chance of being stopped and charged or having your car taken away. Palm Springs continues to set up roadside DUI check points. They continue to pull in more people for other traffic offenses than just DUI. We think that this is a good thing. Everyone should stay alert when driving and make sure that you follow the laws. Most people do follow the laws. But there are those few that just cannot seem to get it right for some reason. If you have been charged with a DUI offense, most people will want to find the best DUI attorney they can. No one wants to be convicted for driving while under the influence of alcohol. They may lose points, they may lose their license, their car or even go to jail. It never seems to end with so many things that can impact your life just because you had a few drinks too many. It really is not worth it to drink and drive and this is if you get stopped by the police. If it does, you need the best DUI attorney you can find. Imagine what happens if you are in an accident and have been drinking. All the above and you lost your car, damaged someone else’s car and hopefully no one got hurt. Why take the chance at all. Stick to one drink at the most or do not drink at all. We were at a party not too long ago and we were discussing the issues around drinking and driving. Several stories were told but one really got my attention. This guy needed a divorce lawyer after this one in addition to the best DUI attorney he could find. This fellow was on business in another city and went to the bar to have a few drinks. He met a lady who worked for the same company and they hit it off and after a few more drinks they decided to go back to her place. On the way they hit a police cruiser that was parked along one of the streets. He was ok, some bruises, the lady that was in the car was pinned under the dash and had to be cut out using the jaws of life. The next morning he went into the office and was upfront with everyone that he had been drinking and had an accident, totaled the car and was charged with a DUI. Everyone felt badly for him until one of the managers spoke up and asked about the lady he was with. There was total silence in the office and no one felt sorry for this guy since he was married and his wife was expecting. Turns out that the lady he picked up was friends with some of the people in the office and they heard about the accident from her along with the full story. She did not know he was married and did not know that his wife was expecting. After that the entire office found out and someone told his wife. Now he had all of the issues we discussed above to deal with in addition to handling his divorce and all that goes along with a messy divorce. Did the drinking make him do it, probably not. But it sure helped him along the way. Consider the consequences of drinking too much and make the smart decision so that you do not need to hire the best DUI attorney available. The job of a drunk driving attorney is to somehow get the charges reduced to the absolute minimum. This may even include having it reduced and eliminated altogether. But most people are happy to get their license back, pay a fine and a second chance. This works well for people with first offenses since the judge is probably going to give most people a chance as long as there is no major accident and you are apologetic. The lawyer’s fees will be expensive, but then not having a criminal conviction is worth a lot when you are facing possible jail time, loss of license and significant fines. Finding the right drunk driving attorney is vitally important in situations like this. Making a bad decision to drink and then drive will only get much worse if you make another bad decision and hire a drunk driving attorney who does not have the experience and drive to help his or her clients. A friend of ours is looking at $5000 to $8000 to pay a drunk driving attorney to get his charges reduced so that he can avoid a criminal charge and keep his license. He needs his car to get back and forth to work so this is really extremely important that he not be convicted. In addition to the legal fees, there may be a fine that he will have to pay in addition to the towing fees when he was initially stopped by the police. He had to also pay for three days of storage for his car in the impound lot. By the time he is done, he will have paid close to $10,000 all because he made a really bad decision to drink and drive. Another friend of ours was able to retain his license and not receive a criminal conviction, however he had to agree to install a breathalyzer in his car instead. At first you might think that this is a good thing and not a really big issue. Better than being placed in jail or losing your license for a year. This is all true, however these things are not cheap to install. In addition you must blow into them each time before you start your car. Apparently also after driving for something like 30 minutes he also has to stop and blow again just to be able to keep going. Long driving trips can be a problem and he is always looking for someone else to drive. Can’t say I blame him, but who wants to deal with this sort of issue? He also has a criminal conviction which prevents him from going to some countries. They have restrictions about letting you in if you are a criminal even if it is for DUI. Always have a designated driver and do not drive if you have more than one drink. A taxi is far cheaper than a DUI conviction. Interview drunk driving attorneys, ask for references and make the best decision you can. This is one decision that will impact the rest of your life in addition to the immediate situation. If you end up with a criminal conviction, your insurance is going up. You may not be able to leave the country. You may not be able to find a job as easily. Many companies will not consider hiring anyone who has a criminal conviction regardless of the type. If you are drinking and driving, get your act together. Avoid a DUI and the need for a drunk driving attorney to have your sentence reduced or eliminated. Take a taxi, have someone else drive if you must drink. That extra drink is just nor worth it. What possible defense can you have for Drunk Driving Defense when the police have stopped you and charged you with a DUI? You just blew on the breathalyzer and you are well over the limit. You cannot walk straight and you are slurring your words. Can you get off your charge? Apparently not a lot, but that does not mean that you will not have your charges dropped or at least reduced. A defense attorney must craft the right story for the judge and / or the jury of there is one that will have the effect of minimizing the charges that you will eventually be convicted of. A neighbor’s daughter has been charged with DUI over the legal limit of .08 which carries a criminal conviction if she is convicted. They have of course hired a lawyer and are now figuring out the best approach to take when her case comes to court. She has no prior convictions that we know of and she has no tickets for speeding or anything like that. She is pretty clean as far as the law is concerned, however she does have a couple of accidents that she has been involved with. None of them to do with drinking while driving. This time it was a simple random stop of a bunch of kids a car and next thing you know she is charged with DUI and will face license suspension, time in jail and a criminal conviction if something is not done to defend her. She is pretty worried as she should be and her parents are as well in addition to being pretty upset about it. Turns out she was supposed to the designated driver that night and did not live up to her obligations. The kids were lucky they were only stopped and not involved in an accident that could have hurt them badly or worse. Her defense if there is one will focus on minimizing the charges and giving a young adult a chance. No priors and no history of being in any kind of trouble and not even known to the police. A case of bad judgment, perhaps some bad influence from friends. Mercy of the court and a promise that this will not occur again might do the trick. This is the core of the story. However the defense lawyer will have to work to bring out these attributes and substantiate them for the court. Whether the judge will buy this story is any ones guess. The lawyer will know the right buttons to push with the judge. Also those they should stay away from. The judge knows this too and some of the decision will depend on how he or she feels that day. Whether he or she thinks that this kid needs a strong kick to get moving. Also to follow the law when it comes to drinking and driving. This is a first offense. There is a good chance she will get off with a fine if the lawyer does his job right. She will still need to pay the lawyer which will be very expensive. Probably over $5000 and then there is her dad she has to deal with. She will be lucky to ever drive the family car ever again. We wish her luck and have a pretty good idea that she will never let this happen again. It will be too bad if she is convicted. Since her parents just bought a house in Florida. She will not be able to visit them if she is a convicted criminal. Everyone is very upset for a variety of reasons, none of them are good ones. Being charged with a DUI offense can be a lot more expensive that many people realize. Just paying to hire a drunk driving defense lawyer is expensive enough. How many times have you been out with friends or family and had one or two drinks? Then get in the car to drive home? It used to be that we were worried about someone driving when they had been drinking all night long. They had many drinks and were obviously over the limit and should not be behind the wheel. They were over the limit and yet we let them drive anyway. This was clearly the wrong thing to do and many people had accidents because of it. One of our neighbors kids was supposed to be the designated driver. Which usually means that you do not drink and the DD drives everyone else around. Everyone is supposed to take turns. It is a much safer way for you and your friends to have a night out drinking if you can count on one person being responsible and not drinking. Apparently they felt that they could have a couple of drinks, four to be exact, over a period of five hours. They felt they would still be ok to drive and would be under the limit. They were stopped on the way home. Unfortunately when she gave a breathalyzer test, she failed. The car was impounded and towed to a storage yard and she was charged. Now she has to pay to get her car back and deal with a lawyer which is going to be expensive. DUI laws are getting much stiffer in many places. It used to be that if you were under .08, the police would give you a warning and let you go on your way. Not so any longer. If you do blow over .08, you are charged with a criminal offense on the spot. You could spend time in jail, have your car towed and the cost to get it back is around $500 for the towing and storage. You also lose your license immediately. With the tougher laws, there is a new warning level that still can cost you a lot of money as well as embarrassment. If you blow from .05 to .08, you lose your car for 3 days. You also lose your license for 3 days and you receive a fine that can cost up to $150. Total cost will be around $500 for the fine, for towing and for storage of your car. Multiple offenses at this level will see tougher sanctions including an in car breathalyzer machine. Which will not let the car even start unless you are not drinking at all. Our neighbor’s kid blew .1, well over the limit and has been charged with a criminal offense. They have no choice but to hire a lawyer to defend the child. They will try to have the charge decreased so there is not a criminal conviction. The cost for the lawyer will be at least $5000 and could be as high as $8000 in addition to any fine, towing and car storage. If they are convicted they will not be able to travel to other countries as well since most countries restrict criminals from entering their country. One might ask if this kid was the DD, why did they drink at all? Perhaps they thought they could follow the one drink per hour rule which is really risky as it turns out. If you are the DD, better not to drink at all vs. risking being stopped and charged with drinking. Bottom line if you value your ability to drive, value your ability to travel to other countries, value not being embarrassed in front of your friends and neighbors and value your money don’t take the chance. Stay away from the driver’s seat of the car if you have been drinking. It is just that simple. Nevada has a lot of liberal laws however driving while under the influence of alcohol or drugs is not one of them. You do not want to be stopped by the Nevada State police for drinking offenses. Or in any other state for that matter to avoid convictions and hefty fines and penalties. The majority of people in Nevada are in fact tourists that come to Las Vegas, Laughlin, Mesquite and Reno to gamble. They enjoy the entertainment and many great restaurants. There are many smaller locations in Nevada. They have small casinos that offer gambling, entertainment and cheap meals for their patrons. In fact most casinos offer free drinks as long as you are gambling at the tables or on the slot machines. Tip the waitress or bartender each time you receive a free drink. You will be sure to have all you ever want to drink. In fact I have seen a heavy tipper, receive a new drink even before he could set his empty glass down after finishing his drink. While this sounds great to be receiving all of these free drinks, the casinos do this for a reason. They know that your judgment is impaired even after having one drink . The casino knows that patrons become less cautions about their gambling. Patrons will gamble more and likely will continue gambling after winning a jackpot. They take advantage of the situation and it is a relative safe environment as well. However if you then get into a vehicle to drive home or back to your hotel, then this could be a very unsafe situation. The casinos in Nevada will continue to give you drinks as long as you are gambling and are not obviously drunk or causing a scene. They will not take any responsibility for the money you lose. Or if you get behind the wheel to drive. We have seen so many people having several drinks at one of the casino bars after work. We know they are getting into their cars and trucks to drive home. There is no question that they are over the limit when it comes to DUI offenses. That they are impaired and cannot make quick decisions when it comes to driving. In the larger cities, there are lots of taxis. This is by far the best solution for getting around to avoid any accidents and charges for DUI. 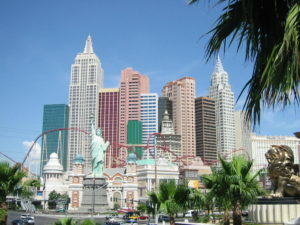 Las Vegas is a large city and the strip has become so congested with traffic, people and complex driving situations. It is difficult enough to drive on the strip when you are sober let alone be impaired and trying to drive. Pedestrians, some of which are also impaired do not obey the walk signs. Many block routinely block traffic while they are crossing roads. Every year many people are killed in Las Vegas due to traffic accidents caused by errant pedestrians crossing roads when they should not or drivers being reckless with their cars. Many of these accidents could be avoided if drivers were paying more attention and not under the influence of alcohol. Nevada DUI attorneys are available to help you if you should be stopped by the police and charged with a DUI offense. Don’t wait too long after being charged. Your attorney can intervene on your behalf. Especially if your car has been impounded and / or you are in jail. Note that if you do not have another sober driver with you, and you are over the limit, your car will be towed to an impound lot. You may be put in jail over night to sober up. Most people can reclaim their car 24 hours later,. However there will be a hefty towing fee to pay before they will give you your keys. Having your car towed and spending a night in jail is not your worst problem. Being convicted of a DUI offense, perhaps spending more time in jail and paying a hefty fine can have a significant impact on you and your family’s life. You may lose your job. You may lose your house if you cannot pay the bills. In addition you may have significant legal fees to pay as well. In addition if you injured someone while driving, the cost will be significant. Why not avoid the entire DUI possibility in the first place? Arrange for a taxi or a designated driver if you are going to drink. If you must drink and cannot get a taxi, take some time to sober up before getting in the car and driving. It is just not worth it to drink and drive and suffer the consequences. DUI Offenses can be one of the worst charges that you may receive in your lifetime due to the consequences. You might be involved in an accident, causing damages to other people, or their cars. There is also potential loss of your job, jail time, fines and major embarrassment. Some are more serious than others. But why would you want to take the chance of any of these happening. An accident can occur in a split second and you have no control over the outcome. Being stopped by the police is one of the least problems you could have compared to an accident where someone dies. DUI Offenses – One Drink? Most people will have a drink or too at a party or after work and then get into a car to drive home. Depending on your metabolism and the rate that your body removes the alcohol from your blood you may be over the limit for your state. However even if you have one drink you are under the legal limit in most cases, but you are impaired. It pays to be careful for a lot of reasons. No one wants to be stopped and charged with a DUI offense, but there are more serious consequences to drinking and driving. Even if you have just one drink, you are not as alert and attentive to driving as you would normally without a drink. Reaction times are slower and your attention to detail is much less even after one drink. In most situations, people all over the country drink and drive and make it home with no problem at all. But what happens if you are on a busy highway , traveling at high-speed when someone ahead of you makes a sudden lane change or does something else that is dangerous. Suddenly you need to make a split second decision and react to the situation ahead of you. Even a half second delay can impact your ability to avoid a crash and survive. Do you really want to take that chance with your life and that of your passengers? What about your family and who will look after them if you are in jail or worse, dead. 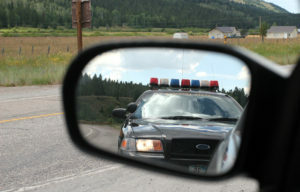 If you are stopped and the officer is leaning into the window to talk to you, it is not so that he can hear you. He is leaning into the window so that he can smell your breath. He will decide if further action is required. This is in addition to just listening to you talk as you answer his questions. He may ask you to get out of the car to further assess your condition and determine if you should be charged with DUI ( driving under the influence) . Follow the directions exactly and do not try to argue or resist. The officer will be forced to take more extreme measures. Clearly do not want to experience that kind of situation. A person should be aware that these officers have stopped many people and dealt with many situations. They are rightly concerned if you do something that would arouse suspicion. Or make them think that you might be concealing a weapon. If you are stopped, sit in the car, hands on the wheel so that the officer can see your hands and that there is nothing in your hands that he needs to be concerned about. If you do need to reach for your wallet or insurance, let him know where it is and that you are going to get it out of your pocket. The last thing you want is to cause the officer to think you are reaching for a weapon. They have seen it all and cannot be too careful. Most policemen will give you a break with a warning if you are not over the limit. Also cooperate with the officer while he is making his assessment. Arguing or giving the officer a hard time will just make him mad. After all he is the one in charge and can easily charge you with DUI. Even if you are innocent, fight the charge and get it dismissed, look at the hassle you have to go through. Also the money you would need to pay a lawyer. It is just not worth it to drink and drive. Or give the officer who has stopped you on suspicion of DUI a hard time. Deal with it in a mature manner and make a rule that you will never let this occur again. It is so easy to have a few drinks at an office party or at the bar after work or at a party on the weekend. Planning ahead of time who will drive and take responsibility to get everyone home is the smart thing to do. You may have just saved a life including your own. Being stopped for driving infractions can be a traumatic experience for most people and depending on the situation can be even dangerous to your health. Virginia police are always careful when stopping people for suspected DUI offenses for obvious reasons. There have been just too many situations were the people they were stopping have been belligerent. Or even worse come out fighting or with weapons. If you are stopped for any offense, including DUI, remain calm and do exactly as the policeman says. You can usually avoid more dangerous situations. Hands on the wheel were the police can see them, no sudden moves and communicate clearly. Move slowly especially if you need to reach for a wallet in a potentially concealed place. You have to remember that the policeman is concerned that you might come up with a weapon of some sort. Especially when you remove your hand from a concealed location such as the glove compartment. Or when reaching to get your wallet out of the back pocket of your pants. He does not want to see a weapon in your hand. The best defense against a DUI charge is to not drink and drive in the first place. There are so many options available that really no one should get charged. Have a friend drive you, take a taxi, control your drinking or wait a few hours before getting behind the wheel. If you do get charged after being stopped while driving your car then you will need to take the next steps carefully. If you are trying to decide if you need a Virginia DUI Attorney, then perhaps the following will help you. 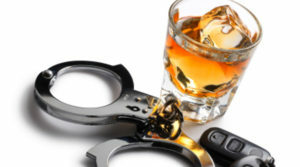 DUI (Driving Under the Influence), commonly known as drunk driving, is legally defined as driving a motor vehicle on a road or highway while under the influence of an intoxicating substance. It is a simple law, with a surprisingly large gray area of actual DUI culpability. A Virginia DUI Attorney can assist you through this gray area. The consequences of being charged and convicted can be significant. You could lose your license to drive, be thrown in jail, lose your job and then there is the embarrassment at work and with family. The primary determining factors of DUI are whether the defendant was driving, whether what he was driving was a motor vehicle, whether he/she was on the road, and most importantly whether he/she was intoxicated. While some are more easily determined than others, the most vital question appears to be whether the defendant was actually intoxicated. 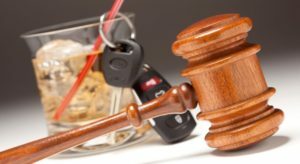 Virginia DUI Attorneys find this issue is at the core of the argument and presents the biggest challenge in dealing with the DUI statute. 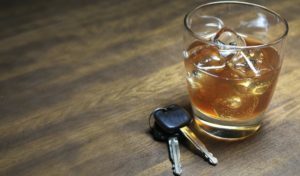 Recently, new DUI statutes have been enacted to avoid this complicated intoxication issue and you need to have a Virginia DUI Attorney who is familiar with these changes. These statutes augment the law by not requiring a demonstration that the defendant was under the influence. Instead, the proof rests on a mere reading of a machine to determine the culpability of a suspected DUI driver. These statutes, often referred to as per se, define DUI as driving a motor vehicle on a road or highway with a blood alcohol level of approximately .1. The actual legal blood alcohol level varies from state to state. These tests are very important and the longer you can delay taking the test may impact the actual reading. Your lawyer will help you understand the potential charges and the results if you are convicted. Once you know these facts, you can decide if you want to fight the charge. Or just opt to pay the fine and possibly do your time. This is an important decision, since a conviction will stay on your record for life. It will always be looked at should you be charged in the future with a DUI charge. A friend of ours was charged with DUI and would have been convicted had he not got a lawyer. The fine would have been $1500. He would have had a first conviction which stays on his record for all time. He hired a lawyer to fight the charge. Which was subsequently dropped because it was a first offense. So he got off without any fine or any conviction at all. Now the lawyers charge was also $1500, so in effect he did pay for his being stopped. But there is no conviction on his file and he also did not lose his license. Losing his license would have also meant that he would have lost his job as well. Which would have been even more significant. His income would have been in jeopardy. His insurance company might increase the rates significantly as well for his car insurance when he does get his license back. Hire a Virginia DUI Attorney whenever you are charged with an offense such as driving under the influence to avoid losing your license, going to jail and receiving a conviction.